Meat Free Monday__The most delicious smoothie.. EVER! Here's a quick recipe for a smoothie. As always, 5 ingredients, 5 steps, 5 minutes or less. 1st step: blend almond milk and cantaloupe. 3rd step: add a banana. 4th step: add chia seeds. 5th step: add a touch of honey (if you eat honey). Voila!! 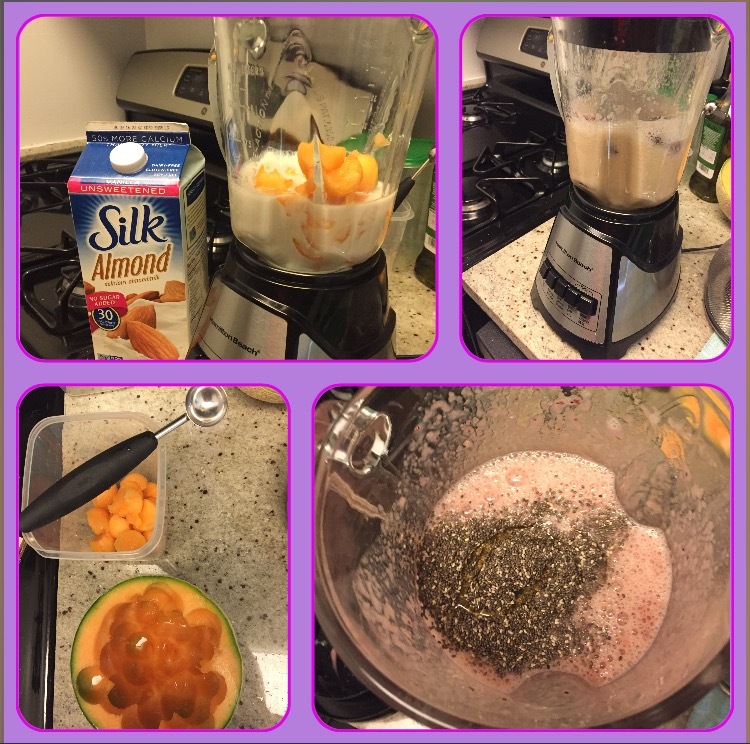 The most delicious smoothie you'll probably ever drink! It really is so refreshing on a hot day...almost like a popsicle (but much better for you!). PS How cool is my melon baller? It's a fun little kitchen gadget, and I can personally attest to the fact that kids love to eat their fruits when they're cut in fun shapes (can also be used on softer vegetables like avocados).